Project Completion Report on completion of project to present the entire technical work in totality and continuity, including conclusion of findings with respect to the objectives of the project. The Project Completion Reports are intended to inform the U.P. State Biodiversity Board and other stakeholders about the progress made during the project period. This document provides guidance for preparing and submitting Project Completion Report (PCR) for an U.P. 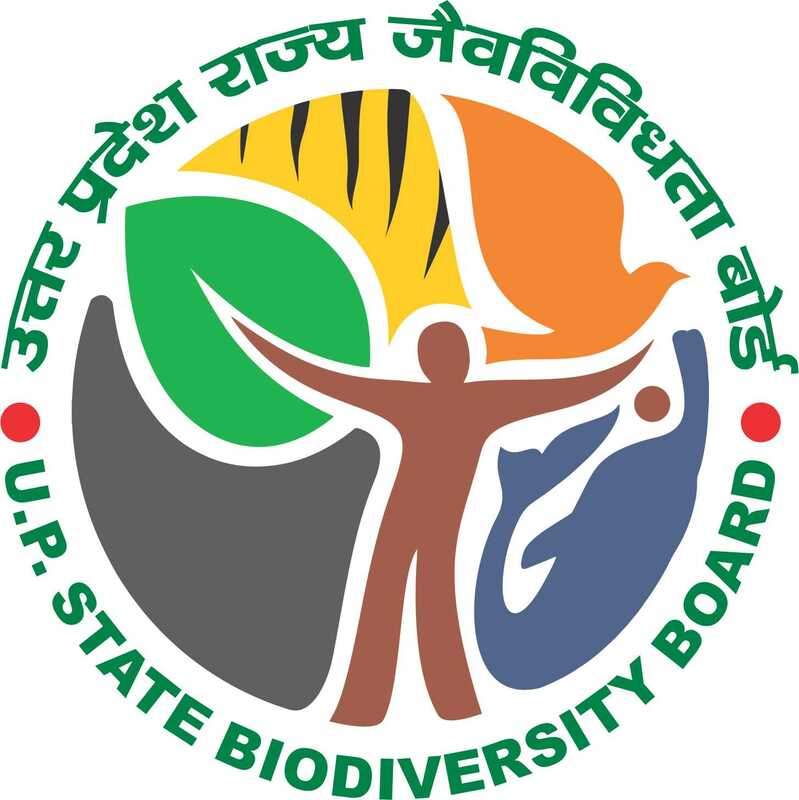 State Biodiversity Board funded project. 1. Principal Investigator is required to submit the Abstract and Project Completion Report in prescribed formats within 3 months after the completion of the project. 17. Recommendations made to the U.P. State Biodiversity Board in the field of biodiversity based on project work done. (not necessary a specialist audience) as long as clarity is maintained. U.P. State Biodiversity Board will request revision and resubmission of reports that are not clearly written. Consistency with completeness is most expected characteristics in technical reports. The Project Completion Report should be submitted in 15 hard bound copies. Report in Microsoft Word needs to be submitted electronically via email attachment also. Project investigators are encouraged to make liberal use of graphics, including charts, graphs, tables, photographs, maps, timelines, and other figures. Well prepared illustrations generally transmit information more efficiently than narrative text. There is no strict limit on the number of pages in a Project Completion Report. The length of the report will vary with the nature of the work and the duration of the project. In brief the report must indicate a good deal of reflection on what happened during the project. It should provide opportunity for learning from the experience especially how positive aspects can be facilitated and negative once prevented or minimized, and often reflect on both the outcomes and process involved in the project. 1. Page size and lay out - Use standard A4 paper (210 x 297 mm) with 1.5 inch margin on the left and 1 inch on the right, top and bottom sides. Pages should be numbered sequentially at the top and centre of the page. Theme font of Times New Roman is preferred with body text 12 font size. Text should be in 1.5 space and justified. 2. Graphics- The use of graphics illustrations is encouraged. Each sequentially numbered figure should ideally stand on its own and be internally self-explanatory. In order to reduce the file size of the report for electronic transmission, all graphics (especially photographs) should be presented at the minimum size and resolution consistent with clear and readable graphic elements. 3.1 Cover page and the first page of PCR should have title of the project with name of the Principal Investigator in a format as depicted in this document. Director of the Institute on the letter pad. Overview is expected to summarize the background, objectives, methods and the results of the project. This is expected to compare the original proposal to what has been accomplished. It should state the original research objectives as presented in the project proposal; address the success with which each objective was made and indicate any problems encountered which may have affected completion of the original objectives. The research findings should clearly indicate the technology developed which has potential for extension and the enhanced knowledge for further development of the research. recommended for follow up action. This chapter must cover a brief introduction of the subject and the rationale leading to the present research project. It should throw light on the present state of knowledge available in the area of research so as to suggest objectives to be covered as part of opening remarks. Under this chapter, besides listing the objectives as stated in project proposal, it is expected to address the extent upto which each approved objective was met. It needs to be accompanied by evidence and explanation to support and justify the extent for each objective of the project. Problems encountered enroute to the completion of the project are related to the work load from other commitments, poor project design, poor research team dynamics or lack of commitment by other partners, insufficient capacity building, lack of institutional facilities etc. may be indicated. Review of literature should be provided in detail indicating the work done till date and similarity and dissimilarity of the present project problem from other works done in the past. Special mention needs to be made of all research projects undertaken under UPSBB umbrella on the above related problem. Literature survey should also indicate clearly the knowledge gaps on the said subject area justifying the objectives of the project. i) Methodology must provide the method used i.e. study design, data collection procedures and process, analytical methods to investigate the objectives supported by scientific citation, if any. Sufficient scientific justification needs to be made regarding statistical design and statistical analysis adopted for the present study. ii) Developing or testing a new or innovative methodology under the project, needs special and specific mention under this chapter. iii) Any changes/ correction with respect to approved methodology to make it more appropriate to the present problem must be brought out explicitly. The reasons for changes in the methodology can generally be grouped into two categories: (1) adjustments to factors external to the project, (2) adjustments to internal project planning or management issues. iv) Details of work done should be provided so that they indicate a good deal of reflection on what happened during the project. In depth details provide opportunity for learning from experience especially how positive aspects can be facilitated and negative ones prevented or minimized, and often reflect on both the outcomes and the process involved in the various aspects of the projects. Please indicate whether this project was interdisciplinary and participatory and whether the experience was satisfactory or not? Data, generated and statistically analyzed, should be described objective-wise. Project investigators are encouraged to make liberal use of graphics, including charts, graphs, tables, photographs, maps, timelines, and other figures. Discussion aspect of the findings must include comparison /justification of findings with scientific citation. This should also include a detailed analysis of results indicating contributions made towards increasing the state of knowledge in the subject. Limitation and shortcomings if any may also be mentioned here. Conclusion part may cover how objectives have been fulfilled and contribution of the present project toward long term objectives and scope for future work. A special mention needs to be made of any policy recommendations on biodiversity management issues to the Board. Significant findings of the project need to be summarized in simple language so that report is used by all stakeholders without any technical inhibition of understanding. Extension and research components need to be specified clearly for easy understanding of the stakeholders. Please give details of the research outputs accomplished at the end of the project. 9.3 Recognized national or international conference (s) in which paper (s) related to this research project was (were) delivered (Please include a copy of each conference abstract). 10.1 Please indicate the areas in which the findings of project can reasonably be expected to have a significant and positive impact. These areas may be Enumeration/ Inventorization , Bioresources Economic benefit (increase in productivity), Improvement of environmental quality, Chances of developing a patent ,Poverty alleviation (creation of employment opportunity) ,Scope of further research, Biodiversity policy and any other such area. 10.2 Accordingly End Users to whom research findings needs to be circulated, must be identified. It must specify the medium/ mode of dissemination/diffusion to these end users. Limited dissemination of results may hinder the potential utilization of results. Therefore P.I must draw a utilization plan for effective diffusion of research findings among the end-users. Please indicate the areas in which people other than the research team were involved in this project reflecting on the impact of “other” involvement. References should be listed alphabetically author wise. In the text, the reference should be quoted as Sen-Sarma (1980) or Sen-Sarma and Thakur, (1981) or Sen-Sarma et al. (1982) for single, two and more than two authors, respectively. Papers by the same author in the same year should be distinguished by letters, a, b, c, etc. For references, following pattern should be followed. Ahmad, M. 1987. Relative resistance of different clones of Tectona grandis to teak defoliator, Hyblaea puera Cram. (lepidoptera: Hyblaedae) in South India. Indian Forester, 113(4): 281- 286. Beeson, C.F.C. 1941. The Ecology and Control of the Forest Insects of India and the Neighbouring Countries. Vasant Press, Dehra Dun, ii + 1007 pp. Heather, W.A. and Griffin, D.M. 1984. The potential for epidemic disease, 143-154: In Eucalyptus for Wood Production, Hills, W.E. and Brown, A.G. (eds.) CSIRO/Academic Press, Sydney. Hanumantha Rao, C.H. and Singh Padam, 1986. Fertilizers strategy of diffusion. The Economics Times (Bombay), Jan. 29, 25(327): I-II (Suppl.). Mehra, M.S. 1984, Litterfall and nutrient return in certain forest ecosystems of Kumaun Himalaya, Ph.D. thesis, Kumaun University, Nainital : 274 pp. ICIPE Training Centre, Dudville, Nairobi, Kenya. Byant, M.S. 1951. bibliographic style, USDA. Bib. Bull. 6:30 pp.